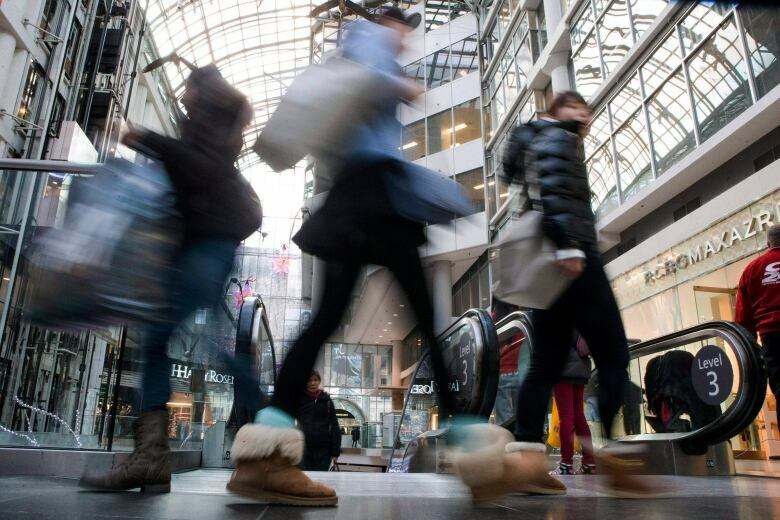 Trade uncertainty, climbing debt levels and rising interest rates don't seem to be dampening holiday spirits among Canadian consumers, who plan to spend as much or more this holiday season as they did last year, according to an annual report by accounting firm PwC. 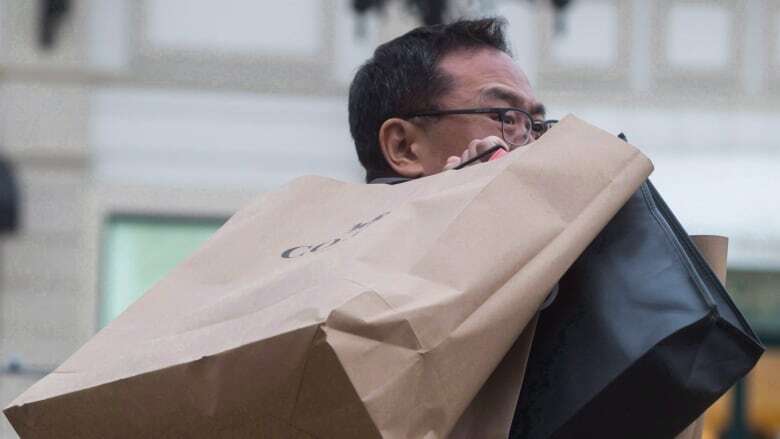 Recent trade uncertainty, climbing debt levels and rising interest rates don't seem to be dampening holiday spirits among Canadian consumers, who plan to spend as much or more this season as they did last year, according to an annual report by accounting firm PwC. The firm's holiday outlook released Tuesday found that consumers will spend an average of $1,563 this year, up 3.7 per cent from $1,507 in 2017. Not all of those dollars are going to things put under a tree or exchanged next to a menorah, though. The largest portion of the Canadian holiday spend will go to travel, $720, while gifts chew up $625 and entertainment, $198. The data comes from a national survey of more than 1,000 Canadian consumers across generational groups, and could indicate greater consumer confidence than expected. Myles Gooding, PwC's retail lead in Canada, said Canadians are ready to shop this season. In fact, given trade issues have been resolved since the survey was conducted during the summer, Canadians' holiday budgets could get even bigger than the report shows, said Gooding. That's in line with the overall health of the economy. "The ongoing economic indicators continue to be in the positive direction for Canada overall," he said. Even high debt loads don't seem to be bringing about thriftier habits. "When you look at the report, while debt is certainly rising, there's probably only about 19 per cent who are really concerned about it," said Gooding. "The ability to carry on debt and still have confidence in the economy is becoming more of a newer normal nowadays." Men are leading the increase in holiday spending this year, especially millennial dads — 53 per cent plan to spend more than last year. On average Canadian men intend to spend $1,752 this year while women expect to part with $1,485. Despite growing fondness for online retailers, 63 per cent of Canadian holiday shopping will be done in stores, the report found. Gooding says it's clear Canadians still like brick-and-mortar locations. Even millennials, who tend to go online for price comparison, still like hands-on shopping — provided retailers make it worth their while. "The message here for the retailers is really to provide an experiential environment for the customer walking into the store. Sometimes this means reinventing a bit of retail," he said. Gooding offered up clothing company Frank and Oak as an example. It started out as an online operation but now has retail shops that incorporate barber shops and espresso bars alongside their wares. "This is what customers are looking for. About one third of Canadians plan to do some cross-border shopping to score both deals and items they can't find at home. Of those who head to the U.S. to shop, 49 per cent will buy apparel and 48 per cent electronics. There could be brisk business in chew toys and bespoke dog collars this year, too. Pet owners surveyed said they will spend an average of $65 on their pets over the holiday season.